Let our experienced installers install it for you. From hanging a flat-panel TV to a full home theater installation, we can provide you with first rate service at a reasonable price. No matter where you bought your TV, we can hang it for you. We have a huge selection of mounts from the leading manufacturers. Since every home and wall surface is different, we will make a preliminary visit to your home, inspect the situation, make recommendations as needed, order the correct mount for you, and return when your mount arrives. We will hang your TV and connect it to your existing AC outlet and antenna/satellite box. Ideally, these connections will be mounted in your wall, directly behind the TV location, otherwise your wires will show. If they're not in the proper location, we can advise you on what it would take to relocate them. Believe it or not, when you buy a new television, it is not adjusted from the factory to look the best in your home. No, it's adjusted to look best in a brightly lit big box store, trying to compete with the two dozen TVs around it. Your home is an entirely different viewing environment and your TV should be adjusted accordingly. Our video professionals can adjust and calibrate your TV using specialized gear and a trained eye to give you the most lifelike and enjoyable image on your new TV. Every aspect of the video image will be adjusted, including sharpness, black levels, white levels, brightness and color temperature, as well as creating custom presets for different room light conditions. The service takes 60 - 90 minutes. Note: This is not ISF Calibration. ISF uses a different set up package and costs much more. You may want to consider ISF Calibration if you have an extremely high end display in a critical viewing environment, but for all other situations, this calibration will exceed your expectations of your TV. Remember, any calibration service is a combination of science and art, requiring equipment readings as well as an experienced eye, so choose a calibrator whose eye you can trust. How much do you spend on cable/satellite TV every month? 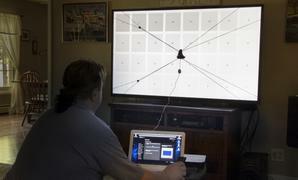 Many families are deciding its too much and finding alternative ways to watch TV. 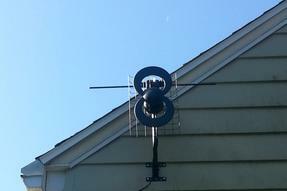 You can get a fair number of high-def channels over the air, for free, with the proper antenna. Supplement that with a smart TV, Roku, Apple TV or other streaming device, and you might be able to drastically reduce your cost of TV. It's not the right choice for everyone, but we can help you decide if its right for you, set you up with a proper antenna, and set up your streaming devices to put some money back in your pocket every month. General installation tasks such as running cables, hanging speakers, mounting an antenna and similar tasks are custom situations. We will have an installer come to your house and give you an estimate. 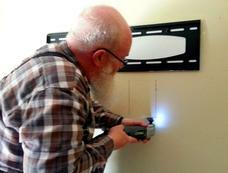 We define this as anything that doesn't require a power tool. Connecting an existing stereo system, for example. Configuring a remote control. Moving an audio / video system from your old house to a new one. This service is meant to address relatively simple tasks in an affordable way. We will charge a reasonable hourly rate, and we will be equipped with the most common cables and connectors that might be needed. No request is too small, so call us if you need some hook-up assistance.